OCEANPOWER New Material Technology Co., Ltd.
OCEANPOWER New Material Technology Co., Ltd. is registered capital is 3,333 million Chinese yuan, have Civil Engineering Materials Division & Coating new materials division,two production center located in Pudong,Shanghai(50,000 square meters) and Heyuan,Guangdong(100,000 square meters),56 offices and branches among Chinese main provinces and some regions of the world. OCEANPOWER New Material Technology Co., Ltd. increase its core competitiveness of original and strategic through the implementation of a number of national scientific and technological supporting projects and standardization strategy.Made a series of new breakthroughs in carbon materials (land, and wood), energy-saving, water-saving.Products and services obtain the relevant certification authority many times, and has been widely used in a number of key projects in China. 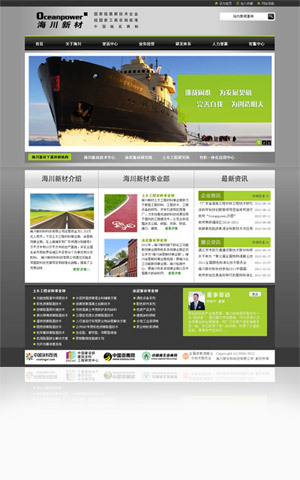 OCEANPOWER New Material Technology Co., Ltd. adhere to "technology, innovation," as the core business philosophy.Providing low-carbon engineering materials,new polymer materials, personalized products and services in the field of digital color technology to new and old customers, including: provide users with advanced coatings and color integration solutions, create greater value together with users. By optimizing the integration of the above-mentioned advantages of resources, to achieve new breakthroughs in products and services, and strive to create conditions and actively participate in the operation of the domestic and international capital markets. "Provide a sustainable solution "is our pursuit. "Difficulty challenge,Self-improvement, Community serving, Future creation" is our ambition. "Create wealth to community, Create value for customers,Create profits for shareholders, Creat opportunities for staff,"is our responsibility. OCEANPOWER new materials Technology Co., Ltd. will work together with new and old customers to make a positive contribution to achieve scientific development, economic restructuring . OCEANPOWER New Material Technology Co., Ltd. wish to become a leader in developing new materials in China.